ActionAid in partnership with Centre for Workers Managements (CWM), have made been promoting the rights of unorganized women workers in Tamil Nadu. 11 women were supported by ActionAid and CWM to take up a driving course, as an alternate livelihood support. The training fee of Rs.4500 was paid for by the organisation. 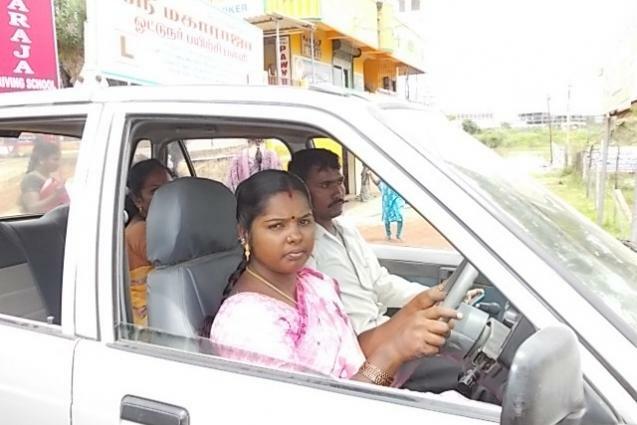 ‘I now have a dignified job and am confident to earn a better salary as a driver than my earlier job as a domestic help,” says 28 year old Jayanthi with pride. She lives in Kanniamma Nagar, Morai.